I am an amateur cook and baker who likes to feed her friends and whip up a frenzy in the kitchen. While I adore butter, sugar, and every kind of baked good, I also like to experiment with healthier options and substitutions…sometimes. I want to see your smiling face! Kate, I am inspired by your 30 days of pumpkin. In that spirit I will be making a pumpkin, barley and sage soup this weekend. are you baking much bread? if so, I recommend “artisan bread in 5 minutes a day” by jeff hertzberg and zoe francois. literally takes more time to measure the ingredients than to make the dough. also has the recipe for really good pizza dough. jane talks with your mother regularly so that’s how I learned about your blog. very impressed. Hi Mr. Horn! Thanks for checking out the blog. How did your soup turn out? That sounds amazing. I do want to try my hand at making bread at some point. Hope you’re doing well! No need to apologize for any intoxicating aromas that result from grilling — sounds like a good recipe for the blog! I bet it was delish. I am back from Paris and coping with this miserable heat. But I’m off again for a family vacation tomorrow. I packed up some of the caramel blondies I blogged about to bring down to you and the boys last week but I don’t think you guys were there. Next time, I promise! OMG, my mouth is watering. I think I gained 5# just looking through your pics. YUMMMMM!!! 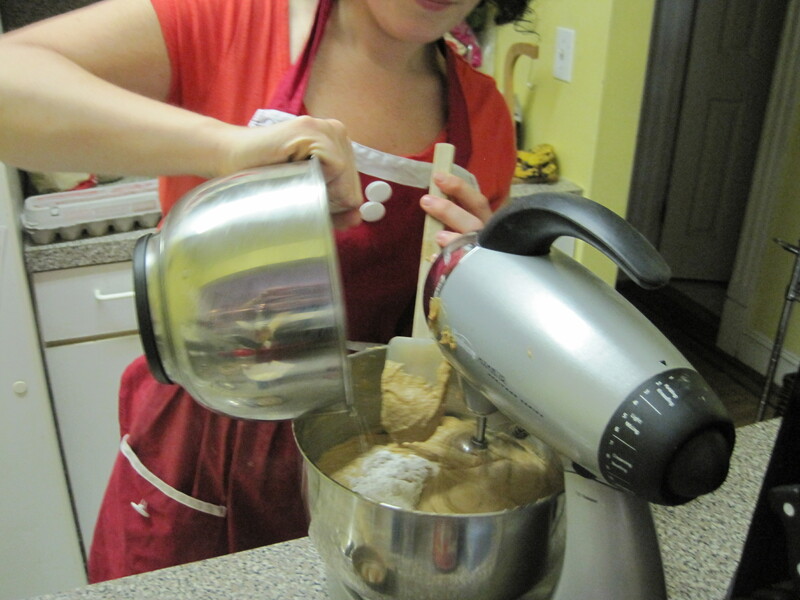 Happy blogging, baking and cooking! !